Here we have a selection of child strollers and buggies as well as bike trailers. Take your children out on hikes, treks and jogging. They can rest their tired little legs whilst you get a full on work out. Use the filters down the side to narrow down your selection. Transform your Thule Chariot CX 1 Child Carrier with the Jogging Conversion Kit. Transfer your existing car seat to your stroller with the Car Seat Adapter. Protect your little one from the rain with the Thule Rain Cover. The Cargo Rack 2 provides extra storage space to your Thule two seater child carrier. Transform your Thule Chariot Child Carrier with the Cycling CTS Conversion Kit. Transform your Thule Chariot Cougar 1 and Cheetah 1 Child Carrier with the Jogging Conversion Kit. Transform your Thule Chariot CX 2 Child Carrier with the Jogging Conversion Kit. Transport your child in safety with the multi-activity Chariot Cross 1 Child Carrier from Thule. Allows Thule child carrier compatibility with bikes with 12 mm Syntace X-12 rear axles. Transform your Thule Chariot Child Carrier with the Strolling CTS Conversion Kit. 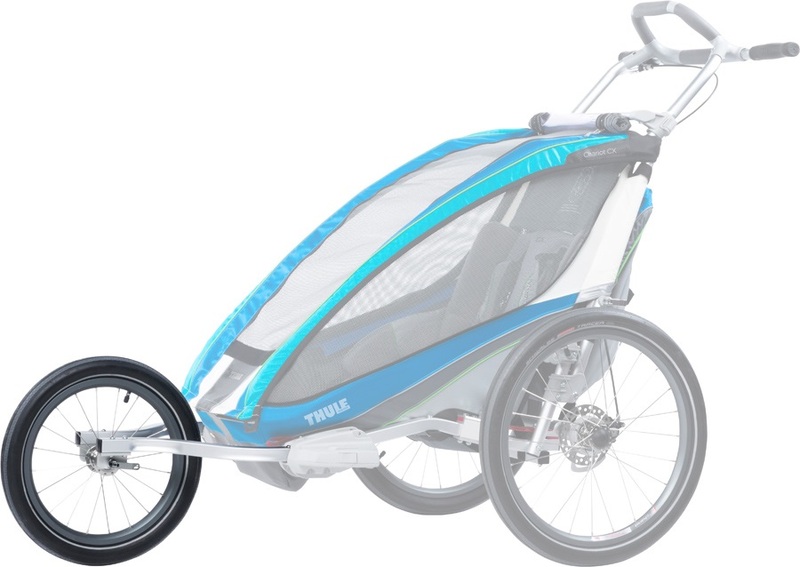 Allows Thule child carrier compatibility with bikes with 12 mm Shimano E-Thru rear axles. Transport your child in safety with the multi-activity Chariot Cross 2 Child Carrier from Thule. Transport your child in safety with the lightweight, multi-activity Chariot Lite Child Carrier from Thule. 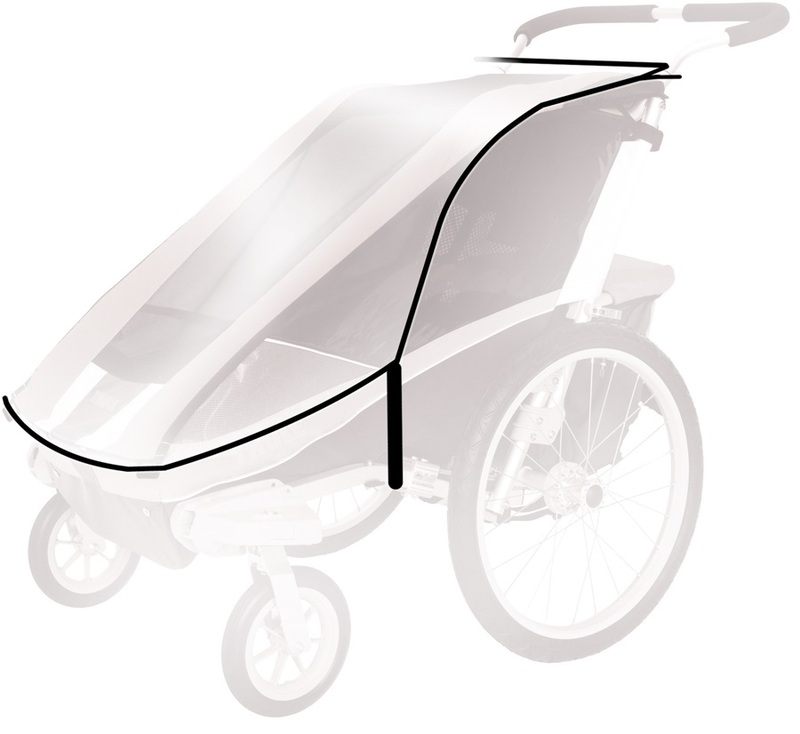 Protect your child carrier with the Thule all-weather Storage Cover. 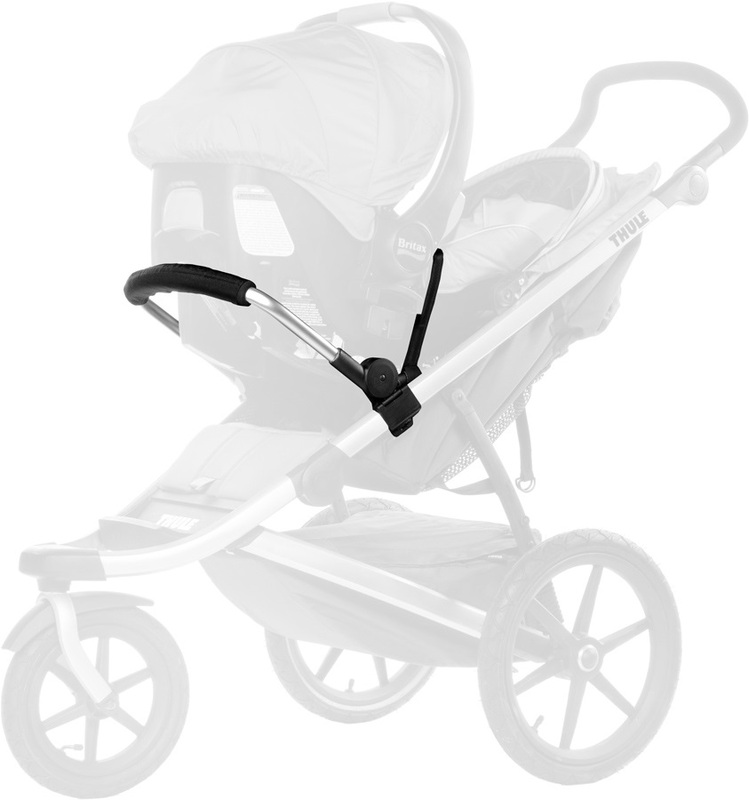 The Urban Glide 1 -- a lightweight sports stroller and jogger from Thule. Transform your Thule Chariot Chinook 1 & 2 Child Carrier with the Cycling CTS Conversion Kit. Transform your Thule Chariot Cougar 2 and Cheetah 2 Child Carrier with the Jogging Conversion Kit.